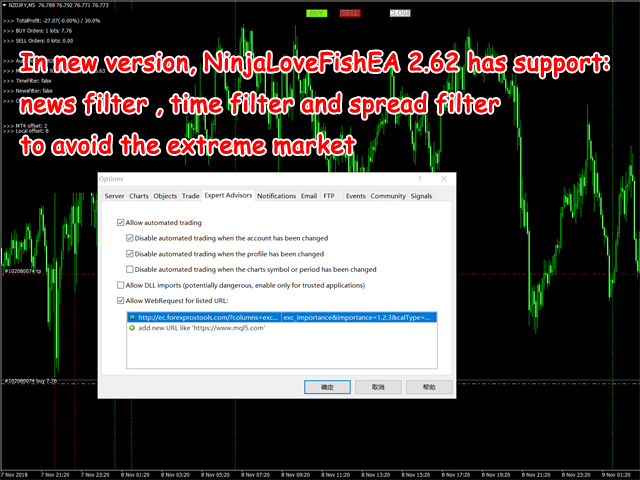 NinjaLoveFishEA contains two modes, automatic mode (not recommended) and manual mode(recommended for use with NinjaLoveFishSIGNAL), which have been optimized and ready to use. If the price goes against the direction, EA will use the dynamic leveling grid system to increase the position, expecting to rebound or fall back, and profit out. EA opens orders in a specific direction, so in the unfavorable market situation, it can complete a series of transactions at the lowest price retracement. open Tools > Options > Expert Advisors. Check the option "Allow WebRequests for listed URL:". Add the following: "http://www.renzhe.org/news.php" and press "OK". The EA takes news from the specified websites. 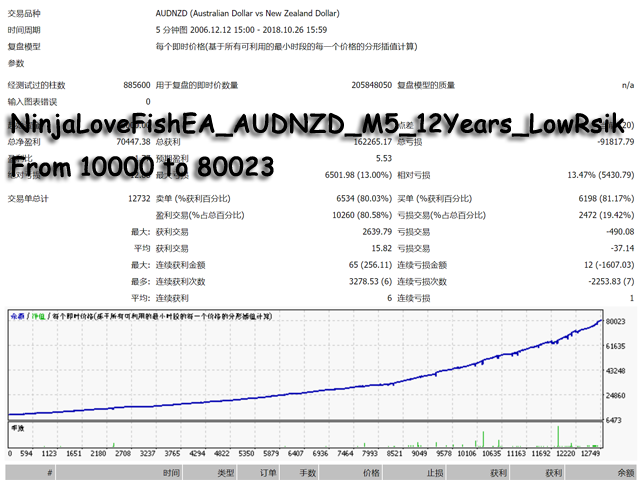 It is recommended to test the EA in the Strategy Tester before using the live account,and I suggest you do not trust any backtest result,The future is unpredictable,Historical performance does not mean future. This is a high risk game, so it is recommended that you set a stop loss for each currency pair. 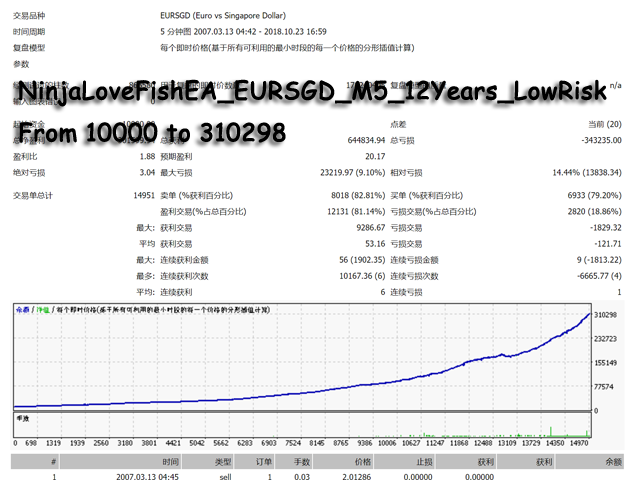 Brokers: ECN brokers, low spread, 1:200+ leverage. Minimum Deposit: $6000 for AutoMode. $1000 for ManualMode Or it is up to you. EA Settings: Without complicated settings, you only need to set the filter for the first order. 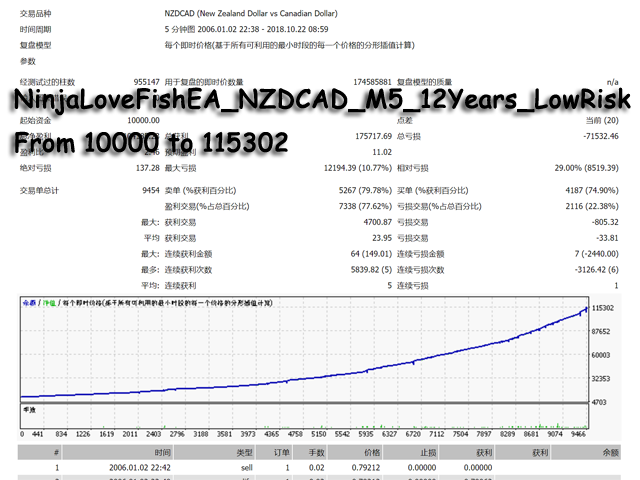 Symbol: NZDCAD\EURGBP\EURSGD\NZDJPY\EURUSD\EURNZD\AUDUSD\GBPCAD\GBPUSD\EURCAD\EURAUD\USDSGD\EURCHF, more pairs coming soon. change the allow url to "http://www.renzhe.org/news.php" to easy remember. add the manual mode ,dynamic pending distance . 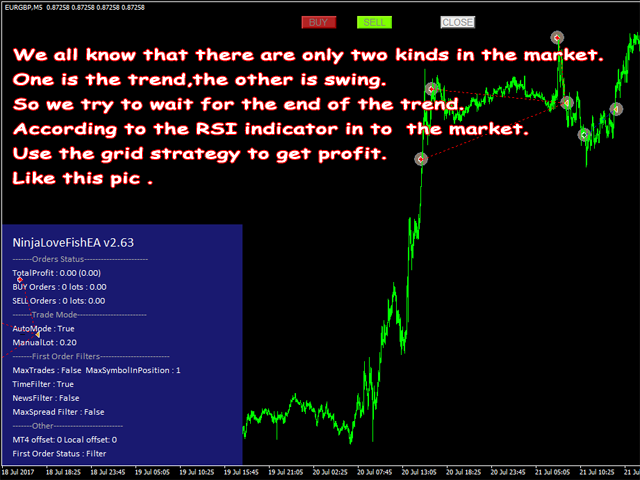 calculate from the ATR indicator. Added filters for news time and slippage. Change pending order to Hline order mode. fix delete pending order bug. fix bug about the Is the New Bars? 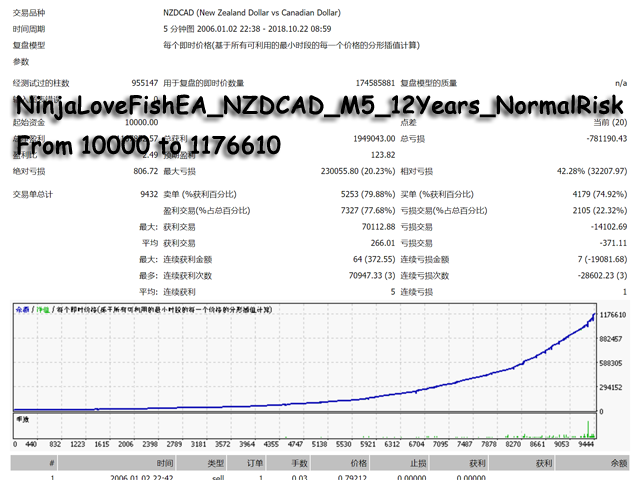 2.Re-optimizing NZDCAD, profitability has increased significantly.